Pre-D-Day landings bombings. 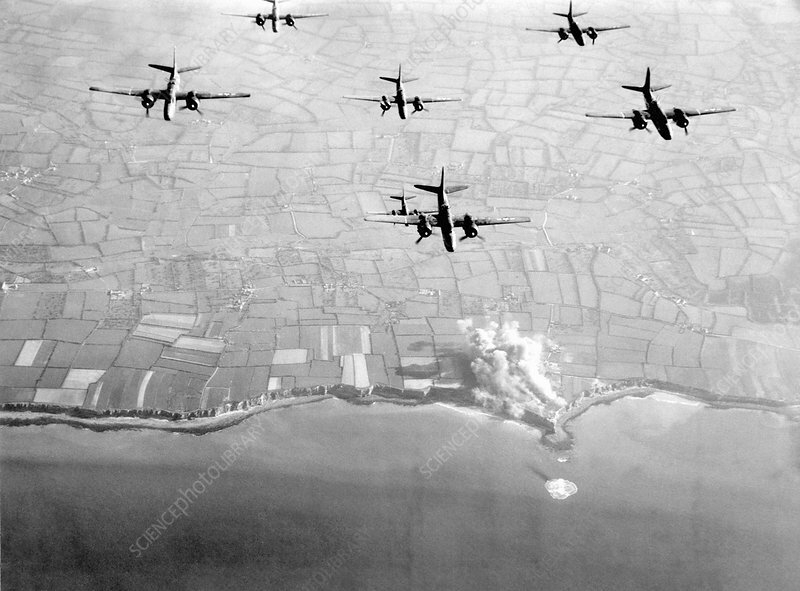 Douglas A-20 light bombers striking the Pointe du Hoc coastal battery in Normandy, France, on 22 May 1944. They are part of the Ninth Air Force unit of the US Air Force, taking part in the bombings that preceded the D-Day landings. The D-Day landings of 6 June 1944 were the largest seaborne invasion in history. They successfully liberated the Normandy coast of Nazi-occupied France, contributing to the Allied victory in World War II. This installation, on a prominent headland between Utah and Omaha beaches, was one of the first objectives captured during the landings.